From the moment I walked in, the assistant was very nice and explained everything they were going to do. Dr. Kowalczykis very thorough with his work and extremely informative! The office is on the small side which makes it feel much more personable and is also very clean and new. They are great on prices and make sure you know the cost of your procedures with no surprises. Overall a great place and will continue to go back for all my dental needs!! From the moment I walked in, the assistant was very nice and explained everything they were going to do. Dr. Kowalczyk is very thorough with his work and extremely informative! Theoffice is on the small side which makes it feel much more personable and is also very clean and new. They are great on prices and make sure you know the cost of your procedures with no surprises. Overall a great place and will continue to go back for all my dental needs!! Dr. Kowalczyk and his staff are very professional and friendly. I highly recommend this dental practice. Dr. Stephen Kowalczyk was born and raised in Yonkers, NY. He attended Fordham University where he earned his B.S. in chemistry. Dr. Kowalczyk kept very active in his community throughout his school years. He played soccer, at an international level in Europe, tennis, golf and continues to be a member of the Ukrainian Ski Association. Dr. Kowalczyk attended the State University of NY at Buffalo, School of Dental Medicine. He chose this school for their reputation and rigorous clinical training. After he earned his DDS degree in 1998, Dr. Kowalczyk was selected to a one year general practice residency program at the Westchester county medical center. Here he performed all facets of dentistry. 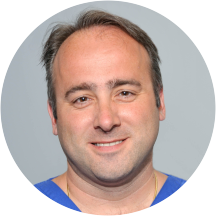 In 1999, Dr. Kowalczyk was accepted to attend Montifiore Medical Center post graduate Prosthodontic program. This is a three year course which only accepted one applicant per year. The program trained Dr. Kowalczyk in all aspect of prosthetic dentistry. He is one of very few dentists in the Danbury area who specializes in the esthetic restoration and replacement of teeth. A prosthodontist is the skilled architect who can restore optimum function and appearance to your smile. Dr. Kowalczyk is trained to perform cosmetic dentistry at its finest. He is very knowledgeable in dental implants as well as removable prosthesis, such as dentures. Mostly, he enjoys transforming his patients' smile which will give them the confidence everyone deserves. The staff is great as is the Dr. He was unprepared for appt. He was late because his wife was out of town. He wouldn't continue work without payment first. I was seen almost with. I wait time at all. Dr. Kowalczyk was very gentle and thorough. The crown placement was done in FIFTEEN MINUTES... very pleased. I originally went for second opinion but I was impressed and trusted Stephen Kowalczyk enough to make a second appointment. Very professional with a great chair side manner. Explains all procedures in a very understandable way. Gentle, even with a tooth extraction! Dr Kowalczyk makes visits to his office pleasant. He is friendly and makes you feel at ease. His staff is extremely helpful and truly the nicest people you could meet. I continue to recommend Dr. Kowalczyk to all who are looking for a talented dentist who really cares! Dr. K is fantastic . His staff is very caring and attentive.. The waiting room is comfortable and stylish. A great experience from start to finish. Dr. Kowalczyk runs a very professional operation! Dr. Kowalczyk and his staff are the best!!! I've been going to him for over 8 years and I"m very happy with the quality and care I receive every time! Angela D.
Extremely welcoming atmosphere and very professional. Dr. Kowalczyk explained step by step what he was doing and why. Would highly recommend this practice!!! Excellent Dr. Great personality. Makes you feel relaxed. Very pleasent office staff. Very nice office decor. I would recommend him. Great guy, and he really knows his craft! Dr. Kowalczyk and his entire staff were great! They were prompt, friendly, professional and very knowledgeable. I plan on following up again for my next visit. The Dr. Is very professional, staff is fantastic - warm and welcoming. Everyone makes you feel comfortable....wouldn't go anywhere else!!! Very comfortable with this doctor he was great! Just changed Dentists, needed an implant addressed, so far the office has been excellent - wonderful follow up and has a modernized practice which makes everything easier (digital x-rays, automated booking assistance, etc). Dr. Kowalczyk explains everything step by step and checks his work along the way. Very calm disposition. Very compassionate and knowledgeable in their expertise..Willing to work with you especially when it involves how the problem you have is and will be effecting your overall health..
Dr. Kowalczyk was pleasant and understanding. Made me feel very comfortable while he stuck me with huge needles (I'm a wimp). Naima and Dana are nice as well. I'm actually very pleased with my experience.